This award-winning gin is at the heart of all Boe products and is carefully distilled with ten botanicals creating a classic spirit that has extraordinary smoothness and makes a superior G&T. 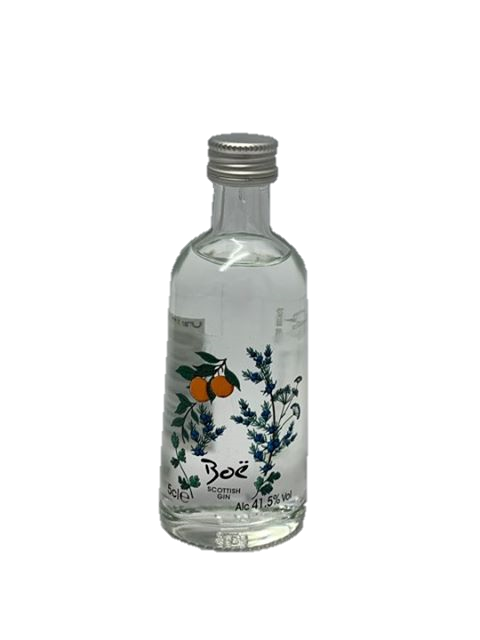 Boë Scottish Gin is named after and inspired by Franz de la Boë, who first created gin back in 1658 which interestingly was originally intended as a medicine, not as a delicious Gin! Not only does this edition have a new ABV of 41.5%, it's also got a new recipe featuring some different botanicals and experience them here with this handy 5cl bottling before making the upgrade.